Did you miss the first Closed Beta for Arena of Valor, that was held earlier this year? If yes, there’s nothing to worry about: a second Closed Beta was announced, and will take place from June 28th And this time around, not just players from Europe will be able to join: those from North America are also welcome! Europe: Austria, Belgium, Bulgaria, Croatia, Cyprus, Czech Republic, Denmark, Estonia, Finland, France, Germany, Greece, Hungary, Ireland, Italy, Latvia, Lithuania, Luxembourg, Malta, Netherlands, Slovenia, Spain, Sweden, Switzerland, and the United Kingdom. North America: United States, Canada, and Mexico. If your county is missing despite being from Europe, it’s because it does not have a Nintendo eShop (yet), and you need to redeem a Download Code for the client/game there. In order to take part in this Closed Beta for Arena of Valor, you first need to fill up this survey. If you were selected for the first one, you don’t have to do it again: you will be able to re-download/update the client for the second one automatically. Other ways to join this Closed Beta will be shared at a later date. By the way, if you take part in the Closed Beta, you will receive an exclusive skin for free when the game launches on Nintendo Switch (and only there. There will not be anything for accounts on Android or iOS). You do have to use Gold to purchase Heroes, but you can get this currency simply by playing the game. What’s more, all the Heroes will be heavily discounted for the beta: for example, you will be able to unlock at least one Hero simply by winning one, single match. Finally, one thing to keep in mind is that progress cannot be carried over from the Closed Beta to the full game. 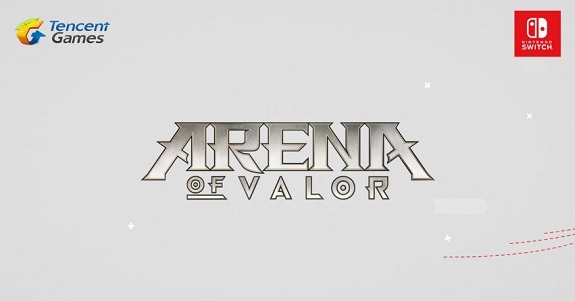 Arena of Valor (Switch – eShop) does not have a release date yet.